Home Tags Posts tagged with "credit rating"
Quite surprisingly, your credit rating depends on where you check. Most notably, FICO is usually referred to as the golden standard and the so-called ‘true rating’ you’re probably looking for. You’ve probably had your fair share of dents in your credit score, but these won’t affect it for your entire life. As a matter of fact, after 7 years have passed, they will no longer play a role in determining it or show up in your credit reports. You might have heard that your credit score takes a hit when a lender checks it, for instance. This is true; however, if you just want to know where you stand, checking your own won’t have any negative consequences on it. The best practice is to avoid pushing the limits. 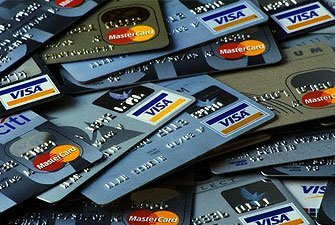 Even if you get one of the best credit cards for fair credit, don’t go beyond 30%, or it may have a negative effect on your credit score. Even if you manage to get approved for a loan, for example, the interest rates may be higher due to having a lower credit score. There are many examples like this, and over the course of time, this can amount to thousands upon thousands of dollars. Although there is no such thing as joint scores, what your partner does on your joint loan or credit account will affect your credit score as well. In other words, making your payments on time, not spending more than you can afford, and not being a financial risk when dealing with companies will get you far. Although the topic of credit rating goes far beyond what the scope of this article can cover, these are the bare essentials of what you need to know about it and how to handle your finances responsibly. In the end, it’s important to understand that managing your finances the smart way will not only affect how companies and potential business partners view you, but also define the quality of your life. 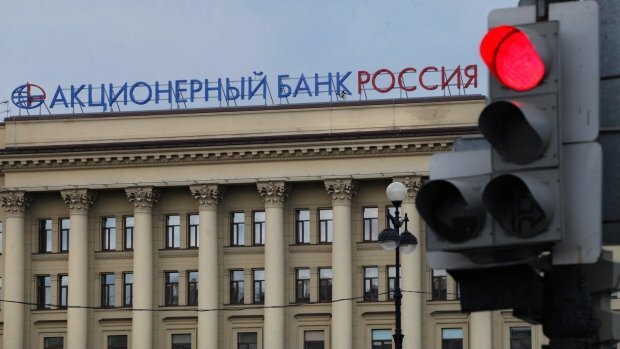 Standard & Poor’s has downgraded Russia’s rating to “BBB-“from “BBB” – one notch above “junk” status. The move comes as foreign investors continue to take money out of the country amid tensions over the situation in Ukraine. Also on Friday, Russia’s central bank raised its key interest rate from 7% to 7.5% as it sought to defend the value of the rouble. The credit ratings agency said this could “further undermine already weakening growth prospects”. 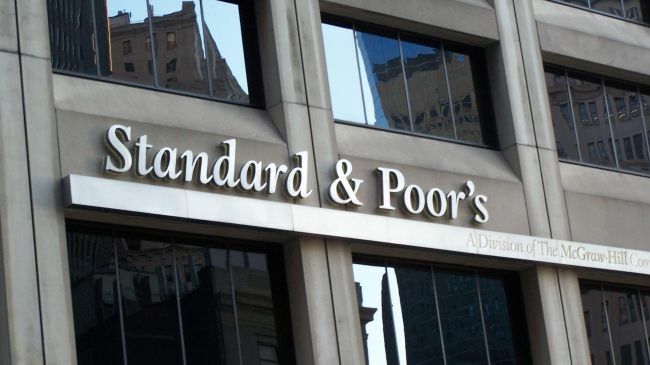 S&P warned that further downgrades were possible if the West imposed tighter sanctions against Moscow. Investors have been pulling money out of Russia since last year when the country’s economy ran into trouble, but this process has intensified in recent weeks amid concerns over Ukraine. In the first quarter of this year, foreign investors have withdrawn $63.7 billion from Russia, and economic growth has slowed significantly – it is expected to grow at no more than 0.5% during 2014. Russian shares, which have traded lower this week, fell further following the downgrade, with the MICEX stock index slipping over 1.6% at one stage. Russia’s central bank said its rate rise was because of a higher inflation risk and the weakness of the rouble. The Russian currency has lost nearly 8% against the dollar this year. The bank said its move would enable it to lower inflation to 6% by the end of 2014 and added it did not plan on cutting rates in coming months. Russia’s Economy Minister Alexei Ulyukayev dismissed S&P’s move, saying that “partially, it is kind of a politically motivated decision”. However, analysts said other credit rating agencies were likely to follow suit. S&P has cut France’s credit rating to AA from AA+. The move comes almost two years after France lost its top-rated AAA status. S&P said it downgraded France because high unemployment in the country was making it hard for the government to make important reforms which would boost growth. The French government responded by saying that its debt rating was one of the safest in the eurozone. The country’s Finance Minister, Pierre Moscovici, said S&P had made “inaccurate criticisms” of his country. In theory, a lower credit rating makes borrowing more expensive. Fitch Ratings has downgraded the UK’s credit rating from AAA to AA+, owing to a weakened economic outlook. The move, after Moody’s downgrade in February, came as British Chancellor George Osborne defended the government’s austerity plan. 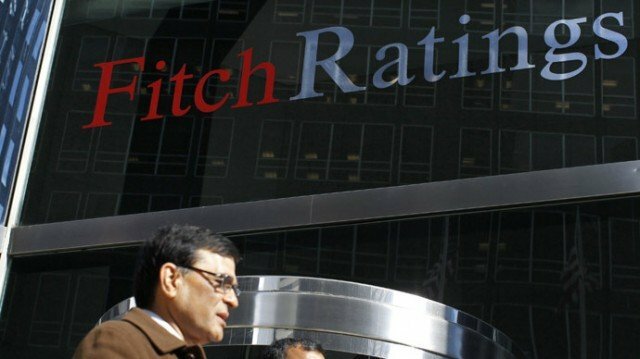 Fitch said its downgrade primarily reflected a weaker economic and fiscal outlook. George Osborne has said his was the “right plan” and that the economy was “healing”. The credit ratings agency said its downgrade “primarily reflects a weaker economic and fiscal outlook” but returned its outlook to “stable”, removing the threat of further rate action in the near term. In its twice-yearly World Economic Outlook published on Wednesday, the IMF slashed its forecast for growth to 0.7% in 2013 after saying in January that the country’s economy could expect 1% growth. Moody’s became the first major agency to downgrade the UK’s sovereign debt rating in February, although Standard & Poor’s reaffirmed its AAA rating earlier this month. Regarding the latest downgrade from Fitch, the UK Treasury said: “This is a stark reminder that the UK cannot simply run away from its problems, or refuse to deal with a legacy of debt built up over a decade. “Fitch themselves say the government’s ‘continued policy commitment to reducing the underlying budget deficit’ is one of the main reasons UK debt now has a <<stable>> outlook. IMF delegates visit the UK next month for annual consultations that allow it to monitor member countries and issue recommendations about economic policy. Some IMF officials have recently raised doubts over George Osborne’s strategy. IMF’s managing director Christine Lagarde said: “With this medium-term strong anchoring of fiscal consolidation, the pace has to be adjusted depending on the circumstances and given the weak growth that we have observed lately because of reduced demand addressed to the economy, now might be the time to consider. “But now is the dialogue,” she said, referring to the IMF’s upcoming visit to the UK. Christine Lagarde’s comments were in line with those made by IMF chief economist Olivier Blanchard earlier in the week, when he warned that George Osborne was “playing with fire” if he continued his current strategy. But the chancellor is sticking to his plan, saying he would defend his case when the IMF officials visit. 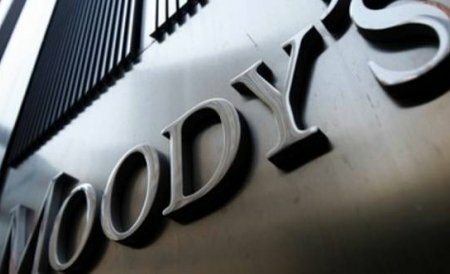 Ratings agency Moody’s has lowered its outlook for the European Union’s AAA credit rating to “negative” and warned that the bloc’s rating could be downgraded. Moody’s said the move reflected the negative outlook for the ratings of the EU’s key budget contributors. Earlier this year, Moody’s put ratings of Germany, France, Netherlands and the UK on a negative outlook. It said that these nations were all exposed to the region’s debt crisis, hurting their creditworthiness. The ratings agency said that in case of “extreme stress”, the AAA-rated member states were more likely to service their own debt obligations rather than “prioritize their commitment to backstop the EU debt obligations”. It added that if the AAA-rated member states were to default on their debt obligations, there were likely to be defaults on the loans that back the EU’s debt and the bloc’s cash reserve was also likely be stressed. “Hence, it is reasonable to assume that the EU’s creditworthiness should move in line with the creditworthiness of its strongest key member states,” the agency said. Germany, France, Netherlands and the UK together account for about 45% of the EU’s budget revenue. Moody’s warned that if the credit ratings of these member states were downgraded, it could have a knock-on effect on the EU’s rating. “Additionally, a weakening of the commitment of the member states to the EU and changes to the EU’s fiscal framework that led to less conservative budget management would be credit-negative,” it added. Moody’s rating agency has cut Greece’s credit rating again, citing a risk of default despite a recent debt write-off deal. Moody’s cut Greece’s rating from “Ca” to “C”, the lowest level on its scale. The deal writes off 107 billion Euros ($141.3 billion) of Greece’s debt. Moody’s said the planned debt exchange, which involves private investors of Greek debt writing off much of the 206 billion Euros in Greek bonds they hold, “would constitute a distressed exchange, and hence a default”. 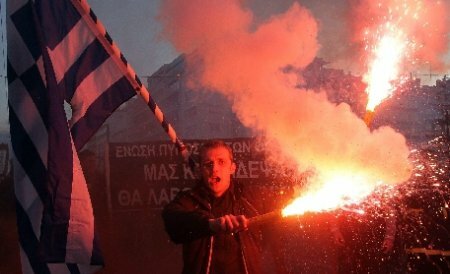 The agency acknowledged that the deal was necessary to help stabilize Greece. But Moody’s said: “The risk of a default even after the debt exchange has been completed remains high. Moody’s believes that Greece will still face medium-term solvency challenges. Earlier this week the Standard & Poor’s agency classified Greek debt as in “selective default”.